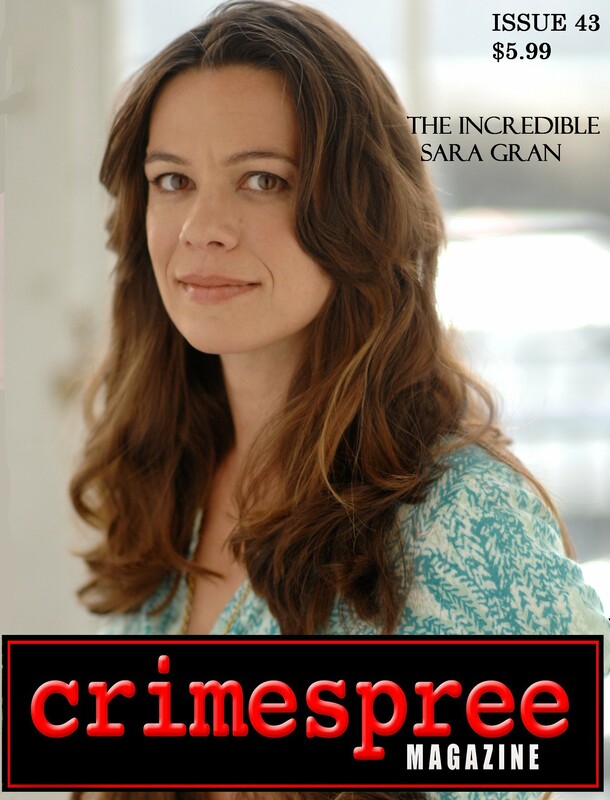 The cover feature of Crimespree Magazine #43 is a great interview of “funky noir” author Sara Gran conducted by Scott Phillips. In turn, Sara wrote an appreciation of SUNSET BOULEVARD. Anthony R. Pezzula, Kenneth Nichols and Thomas Pluck provide the short stories. The latest Behind the Books is written by Lisa Unger while Jennifer Jordan writes about a bunch of criminal idiots. Darrell James is interviewed by Alan Orloff and Reed Farrel Coleman offers a Bouchercon Handbook to make the most of than annual event. Craig McDonald looks back at DEADWOOD which signed off back in August of 2006. Dan Krokos and Todd Ritter tell us their 5 Favorite Films. Declan Burke dialogues with Dennis Lehane about Irish-American crime writing. There are articles from Ayo Onatade, Denise Hamilton, Linda Brown and Douglas Lindsay. Finally, Jeremy Lynch has his Eye on Hollywood, DVD Reviews, Buzz Bin and Book Reviews round out issue 43. You can find the Kindle version here and Nook edition here.